The Riverbank is the name we have for the B&B. Our property is called Ratty's Landing. 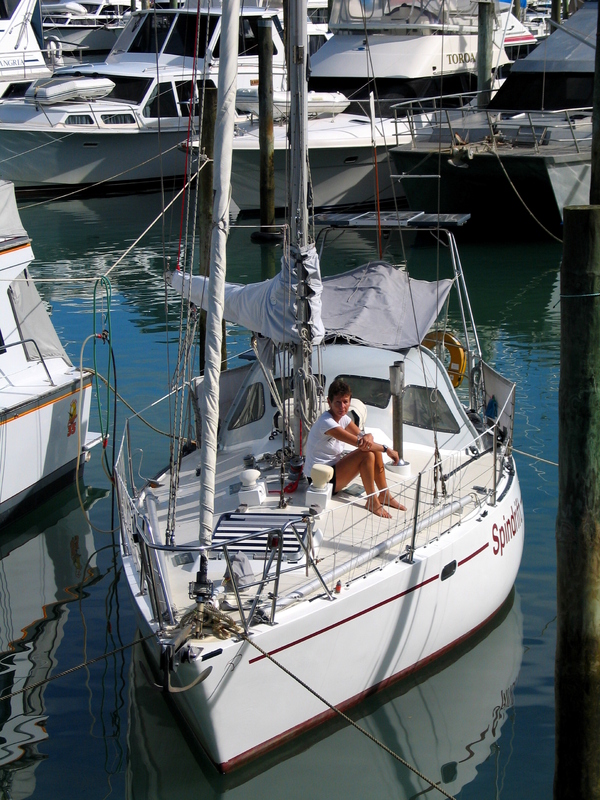 Melva and I lived on our 9.6m yacht for 15 years from 1993 and cruised throughout much of the Pacific over those years. I sailed since I was a kid, Melva since we were married. We love the sea and coast as much as we love our paradise. In 2008 we then moved to Ngunguru (Pronounced - Ngoo ngoo roo. Roll the r.) where we built our house and started The Riverbank Homestay and B&B. We are experienced travelers and hosts. We love the outdoors. Our door has always been open to visitors and we enjoy your company. Melva also manages our garden while I build our next boat in a shed on the property. Much of the food you will have will be fresh from our garden or preserved in our kitchen. Our next boat is under construction. 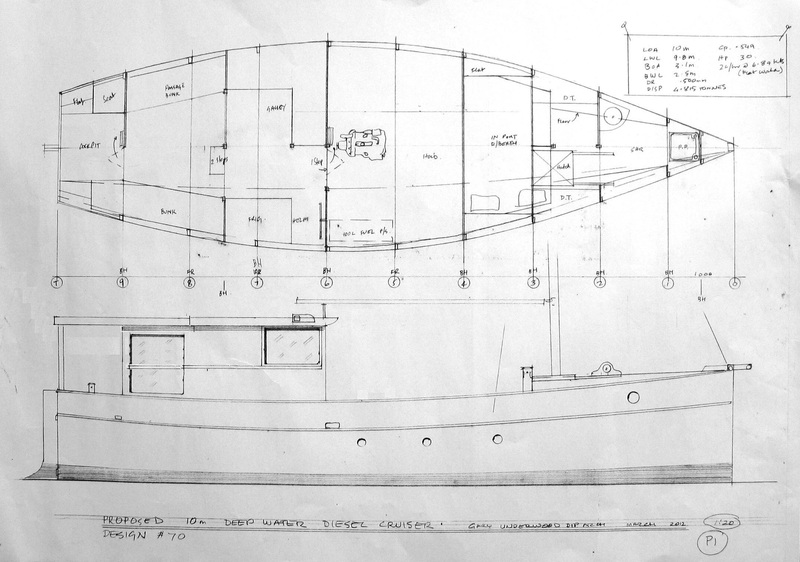 It is a 10m displacement power cruiser. 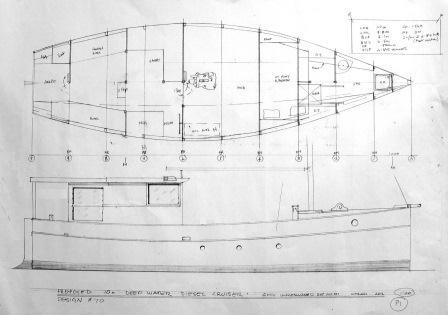 (Check Hilton's boat building Blog Here.) Meanwhile, we have canoes and a dinghy with outboard motor. We are near the sea. In between work, gardening, etc we can explore our coast and bush with walks. 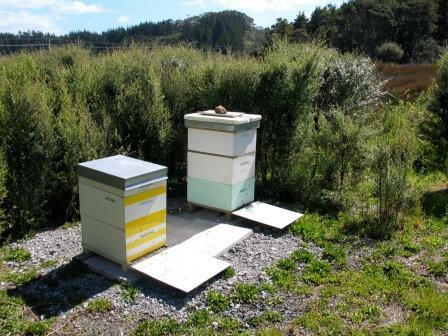 Melva, the beekeper looks after our two hives. Click on the PDF below to read about Hilton's guide book to this unique area and how it came about. The book is called The Tutukaka Coast Loop Road. Click the link to find where it is sold or click the link in the headers to go to the book. Energy usage: We use solar heated hot water and efficient heat pump, well insulated wooden building with double glazing and eco light bulbs. Water conservation: We use rainwater for all the house services. Waste water recycled for the garden. Waste management: All waste except non recyclable plastics is recycled. Food waste is composted. Community Involvement: Participate in Tutukaka Coast Promotions and Melva is The Tutukaka South Pacific Yacht Club Secretary. Our wetland and adjacent bush is now a Ngunguru School Classroom where the children learn about our nature and wetland and bush environments and their importance. Innovation: Created a 2 Km bush walk to introduce visitors to our bush. Also constructed an extensive wetland boardwalk for public use on the property. Hilton published The Tutukaka Coast Loop Road - A book showing local walks, beaches etc. Environmental conservation: We actively control pest animals on our one hectare property to protect the fauna and flora.